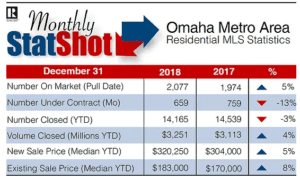 2018 was an INCREDIBLE year in Omaha real estate. Home prices increased by 7.24% in 2018. There were more home buyers than sellers, which drove prices up. 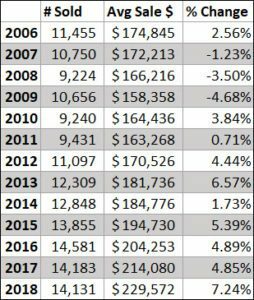 Looking at the past 20 years in real estate, Spring of 2018 was the best time to sell a home! Home sellers were receiving multiple offers and receiving more than asking price. Buyers were waiving home inspections and even appraisals! It was a great time to sell. Let’s talk about that 7.24% increase. Home prices increased by 7.24% in 2018. There were more home buyers than sellers which drove prices up. Spring of 2018 was the best time to sell in the past 20 years! Home sellers were receiving multiple offers and receiving more than asking price. Buyers were waiving home inspections and even appraisals! It was a great time to sell. In July, the market shift arrived and the result is we are moving toward a more balanced market. As we look at the numbers, an increasing number of homes not selling. In fact, we have 5% more homes on the market and 13% fewer homes under contract than this time last year. Homes that are selling are taking longer to sell. Price changes are on the rise along with fewer homes pending, an increase in cancelled and expired houses and pending home sales falling through and being put back on the market to find another buyer. Buyers have had 3 years of low inventory and they are tired. They are now looking for the right house at the right time and are willing to wait for it and get what they want. As the market continues to slow, we expect to see homes prices decrease and show ready homes selling quickly. Negotiations are shifting to favor the buyer and expect to see more buyer demands on purchase offers met. What Home Sellers Should Expect Now? Sellers should expect homes to stay on the market longer. Let me show you. Active homes for sale in December were on the market for an average of 93 days vs the 27 days homes that SOLD were on the market. That’s 66 days FEWER!!! Compare the 93 days to June 2018 where the average days on market was only 60 days! That’s 33 days LONGER and it hasn’t sold yet. An Omaha home for sale that is priced right and in good condition should sell within 21 days. If you aren’t getting at least 3-5 showings a week, the home is overpriced. If you are getting the showings but no offers, the hard truth is the house is over priced. What Does It Take To Sell a Home In the Current Market? A home is only worth what someone is willing to pay for it and for that reason, buyer’s determine the value of the home. And whether it’s the right price or the right updates, for the buyer, it’s all about price. The best price point to sell in right now are homes priced between $100K – 200K. These homes are taking only 5 weeks to sell, which makes it more of a seller’s market. If your home is in this price point and you want to sell, we need to talk NOW! 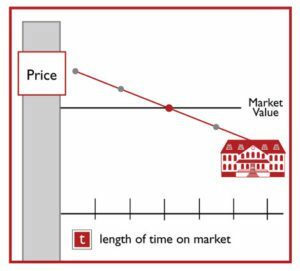 The longer you wait in a decreasing market, the less money you will ultimately get. Call me so we can meet and protect the equity in your house because time is not on your side. 800-1000 homes each month from December through March and there is no reason yours can’t be one of them before the market in your price point shifts, too. Check out who your competition is here. Homes prices over $300,000 are taking over 5 months to sell. 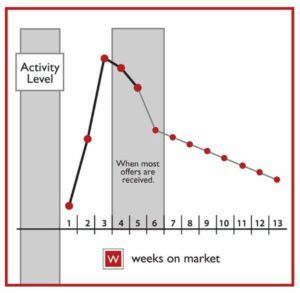 Homes taking 5-6 months to sell are in a balanced market. Seller’s will need to be very competitive in order to sell your house and not your competition. Check out who you would be competing against here. Houses priced at $600,000 and up are in a strong buyer’s market and are taking from 6.5 months to 39 months to sell. Yes, you read that right 39 months. If your home is priced over $1 million, your biggest competition is new construction. At that price point, most buyers can build and get exactly what they want. In order to sell them your home, it will need to be priced very competitively and show like a model home. To find out what your home might sell for in today’s market, click here or call me directly, Connie Betz, at 402-880-9027. Still searching for your dream home? Click here to search all homes for sale including a list of New homes that just hit the market, Upcoming Open Houses and more!